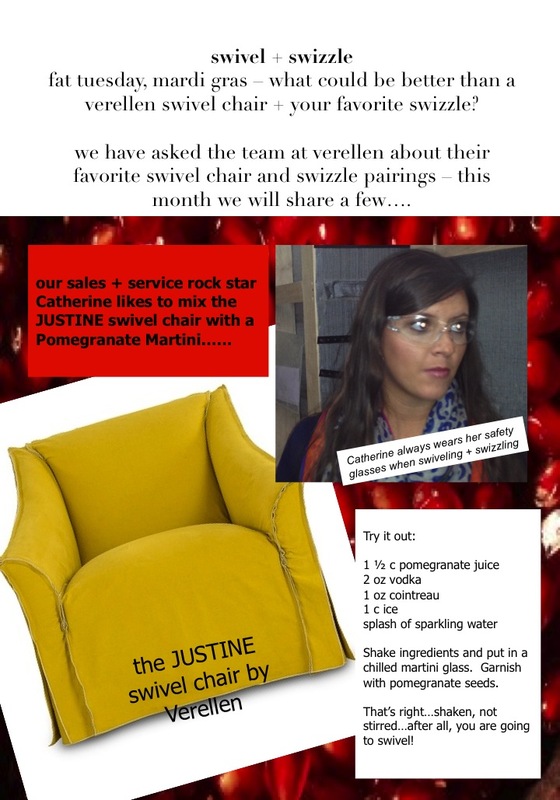 Love the Justine swivel chair. Please tell me more. this swivel chair is a Verellen team favorite. shown here with inside out stitch in cambridge (100% cotton). the JUSTINE has a spring down-wrapped seat cushion making it extra comfortable. available slipcovered or upholstered in a huge range of fabrics + leathers (we have a fantastic ‘pesto’ leather that would be really cool on this piece) – the JUSTINE is also available in several sofa sizes, a chaise and as a sectional. I have posted additional photos of the JUSTINE Collection on the Verellen tab. Please give us a call 617.993.3347 or email info@artefacthome.com – we are delighted to ‘talk Verellen’ anytime.